I’ve had butterflies in my stomach for the last 48 hours. On Thursday I read the selling criteria for the upcoming semi-final against Villa and realised I was guaranteed a ticket. Since then I’ve been like a kid on Christmas eve. On Friday morning I went online and opened my present. Ticket secured, I’m already planning my trip south. I am 47 years of age and the FA cup still has that special magic for me. Yes, it has been devalued since the birth of the premier league, I concede there’s no Champions League on offer if you win it and okay it won’t fill the club coffers much, but why would I care about any of that? I am a Liverpool supporter and I have never turned up to a homecoming parade and seen the players holding up a balance sheet. I have done the club stadium tour and I never saw the fourth place exhibit. We have finished in the top four countless times and it has never given me anywhere near the buzz I get going to a cup final. Liverpool Football Club exist to win trophies. That’s the mantra I was brought up on. Seeing the club captain holding a piece of silver aloft in May is my dream at the start of every season. I do not get all misty eyed at the prospect of scraping into fourth place. 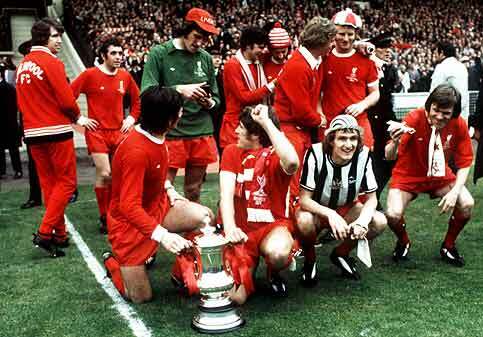 My earliest memories of the cup are watching the final against Newcastle on the telly at home in 1974. The windows of the house were plastered in posters of the players. The whole street was like that. You’d walk around the estate I grew up on and you’d be able to spot which families were blue and which were red by how their windows were decorated. Some would just have a flag in one window and you could tell their were split loyalties in that home. I still remember the whole family, red and blue, walking to Queens Drive to see the team bus. I remember running alongside the bus shouting up to the players and the sheer delight when one of them gave you the thumbs up or better still waved the cup at you. Acknowledged by all as the greatest homecoming reception for a triumphant sporting team ever, it showed just how important the FA cup was. To me it still is the best football competition in the world. I defy anyone to watch those celebrations and not get emotional. For me the denigration of the competition in the name of profit and corporate sponsorship is criminal. 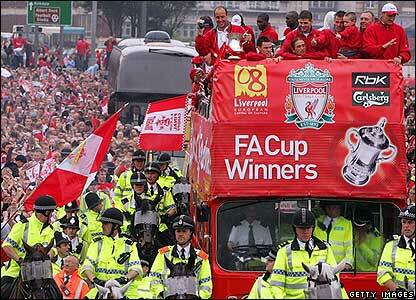 The cup and Merseyside has a special affinity. Between our two clubs we have won it 12 times. We have experience stratospheric highs and crushing lows following our teams in that competition. In ’86 and ’89 we met at Wembley. 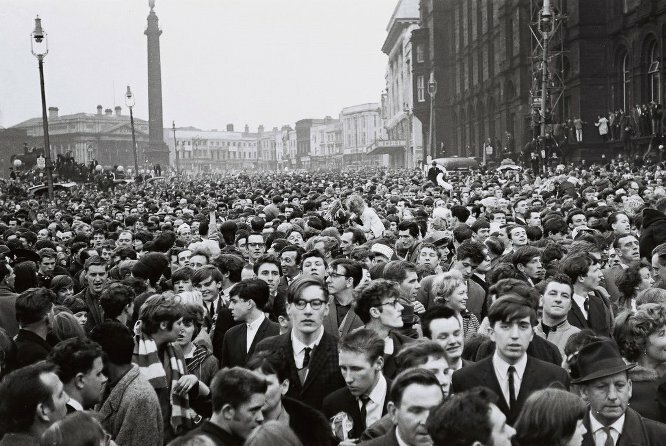 On both days Merseyside showed the world how two clubs from the same city can compete fiercely, but sportingly for one of the biggest prizes in domestic football. 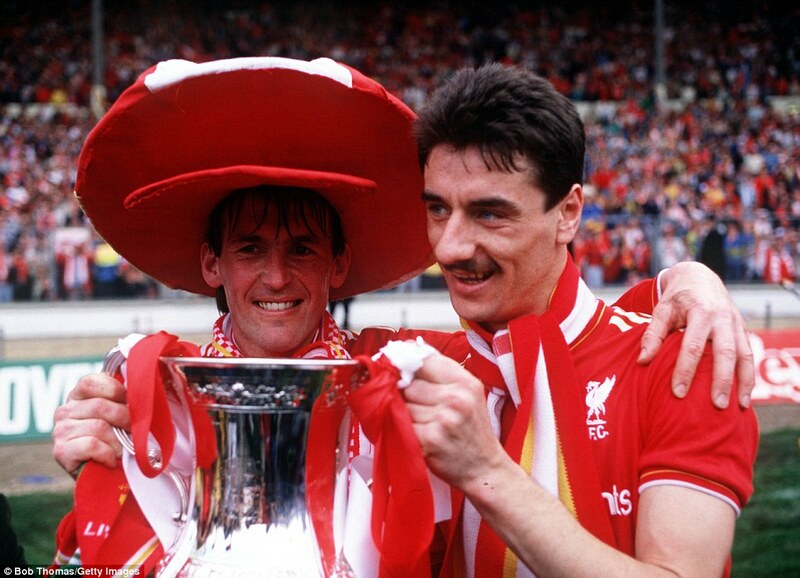 Of course the ’89 final had special significance and in the end was more like a family outing than a cup final. In this case the family was the size of a whole city. It would be dishonest to say the result didn’t matter in that game. It did, but it didn’t matter as much as the opportunity for reds and blues to come together in the capital after a harrowing year. Chants of Merseyside echoed round the ground at the end, a collective display of pride and solidarity. There are just countless memories associated with this competition for me. Not all of them to do with the games. All great stories are about the journey, rather than the destination. The getting there bit is often far more interesting than the 90 minute tussle at the end. Handing my son his first cup-final ticket and seeing the look on his face, Then reflecting on my first visit to Wembley and how it felt to get that ticket in my hand. Getting up early, queueing for the coach on Priory Road. Feeling like your a man now, because you’re going on your own and joining in with the songs on the coach. Having a sly bevy when your under-age and feeling pissed after one can. All of that is part of the magic. There’s no twin towers any more. The cost is astronomical and somehow it seems wrong to hold a semi-final at Wembley. Such an occasion should be reserved for the finalists only. It does stick in the craw that we are being fleeced to pay the FA’s stadium mortgage. 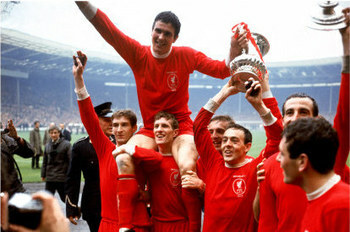 But for all of that it’s still Wembley, it’s still the Reds competing for the right to get there twice and I won’t have anyone telling me this competition doesn’t matter. I’ll be older and a little bit wiser as I make that journey again in a week or so, but I’ll be no less excited. I won’t sleep the night before. The hairs on my neck will stand up when I see that pitch and hear our song sung in the capital. Liverpool Football Club should be playing in that stadium every year, just like we did before. It matters far more to me than fourth place and you can tell that to yer ma!